An incredible new album, featuring extended versions, alternate takes including new instrumental tracks and some pretty cool edits! Don't think you already heard these! 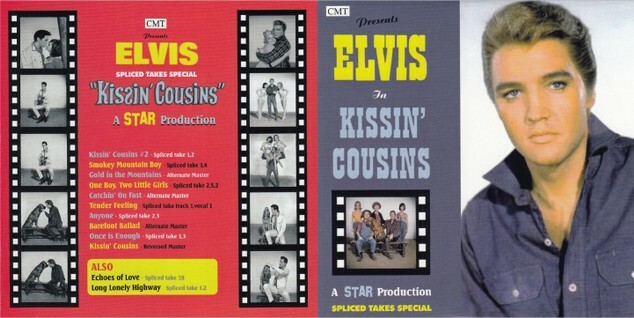 ALL tracks are brandnew edits and sound very rare, The title track for example starts of with an alternate opening and includes the extra verses. "Gold in the Mountains" has been extended and includes rare alternate musical segments. For "Tender Feeling" they used the alternate take 1 (vocal) and combined it with an alternate musical track, the result is stunning and sound quality is much better then the master version! "Echoes of Love" includes an alternate Saxophone solo makes you feel as if it is a brandnew take! The "drums" on "Catchin On Fast" are taken from an alternate musical track and put in just at the right spot to make it sound pretty cool and different! 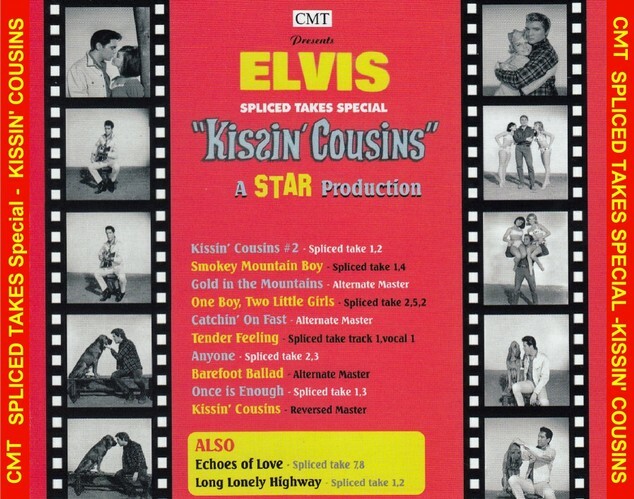 Another highlight must be "Kissin Cousins #1" ... for this song Elvis recorded TWO different vocal styles... one being Josh , and one being Jody (Hillbilly) both tracks were combined and we got the first "duet" ever of Elvis and... .Elvis.... Here they have "reversed" the vocals, and a complete NEW release is born, where the master has Josh... this track has Jody singing, gives the same "feel" but sounds VERY different! "Smokey Mountain Boy" and "Barefoot Ballad" have alternate extended intro and outros....We could go on, but one thing is for sure, this is another CMT winner! Did we say ALL tracks are spliced, so you get an ALL new album!